London Fashion Week spring 2019 saw Victoria Beckham bring for brand home for its 10th anniversary, Riccardo Tisci’s debut Burberry collection and of course, the best of autumnal street style. The English capital delivered statement pieces, knits, layers, thigh-high boots, chic blazers, long coats and dusters aplenty –in neon shades, animal prints and neutral palettes also. 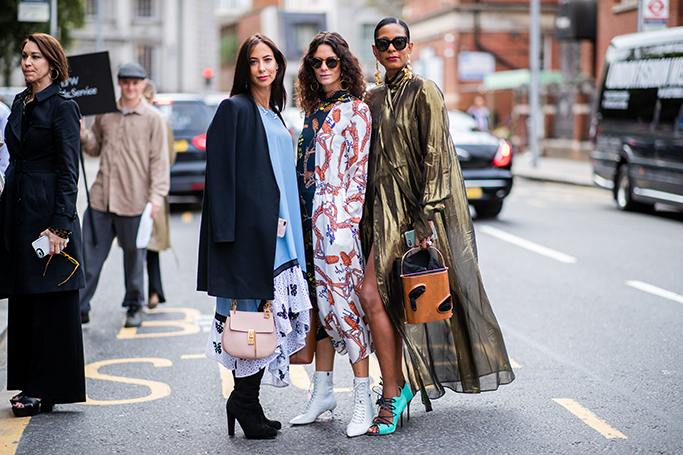 Although we won’t be switching our summer staples for autumn pieces, these street style looks from LFW are still worthy of a screenshot –offering inspiration for European city breaks and cooler days in Dubai. So take note of mini sunglasses, fabulous skirts and print-heavy suits.